Manufacturing facilities use a tremendous amount of energy – for heating and cooling, lighting, and operating equipment. In fact, the industrial sector of the US economy, which includes manufacturing, used about 1/3 of all the energy consumed in the US in 2017. That amounts to $200 billion each year that manufacturers spend to heat, cool, and light their facilities and operate their equipment. Any efforts to increase energy efficiency positively impact the bottom line for manufacturers, as well as improve the working environment. Manufacturers do this through retrofitting, updating existing equipment, or building new facilities with the newest and most efficient equipment. With 11.8 billion square feet of floor space in existing U.S. industrial buildings, operating for an average of 12.1 hours each day, lighting and HVAC equipment are the best places to target energy conservation retrofit efforts. Save on costs for replacement bulbs – LED lighting lasts up to 25,000-50,000 hours of use compared to fluorescent, which last up to 10,000-15,000 hours of use. Heating, ventilation, and air conditioning (HVAC) systems are critical systems that run constantly and can account for up to half of the energy consumed by many manufacturing facilities. These environmental controls are critical not simply for human comfort, but to keep equipment and machinery operating properly. Some ways of increasing efficiencies for HVAC systems include scheduling of activities, upgrading equipment, and installing energy management systems. Scheduling of activities enables manufacturers to use the minimum amount of energy required. For example, during overnight hours when the building is unoccupied or during times that equipment is not operating, the temperature can be reduced or increased, depending on the season, to save energy use and costs. Upgrading equipment, especially that nearing the end of its useful lifecycle, is a key way to improve energy efficiency. Newer equipment is more energy efficient and over time reduces maintenance costs. Additionally, most local energy utilities offer rebates or other incentives for upgrading equipment, further reducing the overall cost (ROI) and increasing long-term savings. Energy management systems enable energy efficiency by providing a central view of the system. Manufacturers can then track performance, identify trends, and highlight potential problem areas. With the ability to see how the energy is distributed and used, companies can budget more appropriately, test cost saving scenarios, and identify and repair trouble quickly. To make your manufacturing facility more energy efficient and less expensive to run, meet with an energy solutions provider to conduct an audit of your facility. Fairbanks Energy can pinpoint where energy is being wasted during the manufacturing process, and improve the overall efficiency. Check out Fairbanks Energy’s recent project at Signature Breads, a 280,000 square foot manufacturing facility and commercial bakery. The results of Fairbanks Energy’s LED lighting upgrade and BMS installation provided Signature Breads with a combined $200,000 in annual savings. Learn more here. 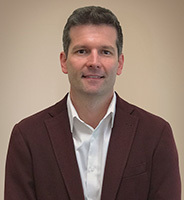 Adam Fairbanks has over 15 years of engineering and management experience related to computer systems, data center design and energy conservation project development. Prior to forming Fairbanks Energy, he served as Vice President of Data Center Services and Business Development at Bluestone Energy Services for 5 years. Prior to working at Bluestone, Adam also worked at Cisco Systems for 8 years as Technical Leader for Cisco Security Agent Group as a Principal Software Engineer. Adam earned his B.S. in Computer Science with Distinction at Worcester Polytechnic Institute, and his M.B.A. at Babson College’s Franklin W. Olin Graduate School of Business.